As Blair Waldorf knows, nothing says cozy cool in the winter like a knit hat. I blogged about this tam in one of the first posts I ever wrote about Gossip Girl. 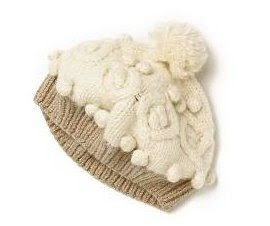 A year later, the little popcorn pompoms and the cable knit detailing are as appealing as ever. Too bad that the hat is no longer available at Anthropologie even if you are willing to fork over $68. 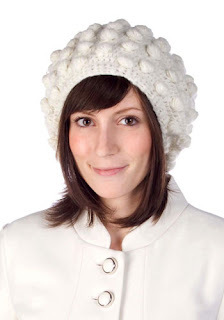 While not an exact replica, the aptly named 'Popular' beret from Modcloth.com captures some of the same cute factor as the Lothians, at a more palatable price tag of $32.99. Awesome find, L! Love Blair!